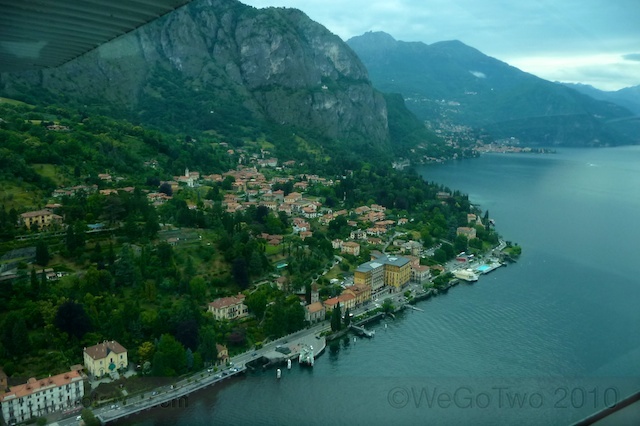 All The ‘O’s – Cernobbio, Tremezzo, Bellagio – O My! We rose to the sound of the nearby chapel’s bell this morning – a beautiful way to be woken from our rather deep slumber. The bed is one of those designs that you sink into and as it envelopes you, you sink into an instant deep sleep. Opening the shutters and revealing the morning light doing it’s best to illuminate beautiful Lake Como was a sight we won’t forget in a hurry. Truly breathtaking. 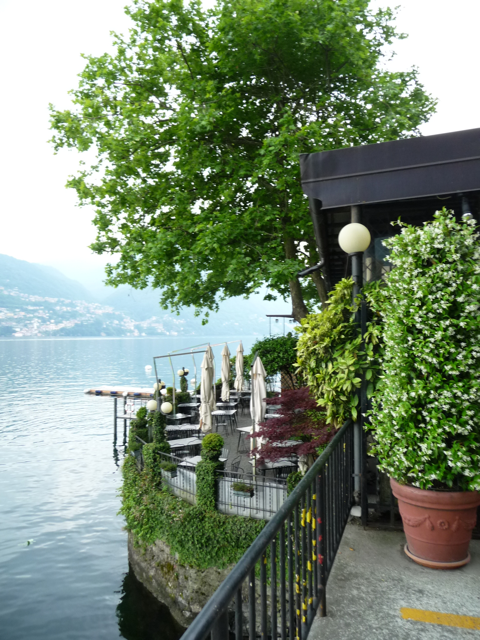 We are now sitting downstairs in the lobby restaurant enjoying a sumptuous breakfast and planning a day of touring the lakeside and the mountains surrounding it. 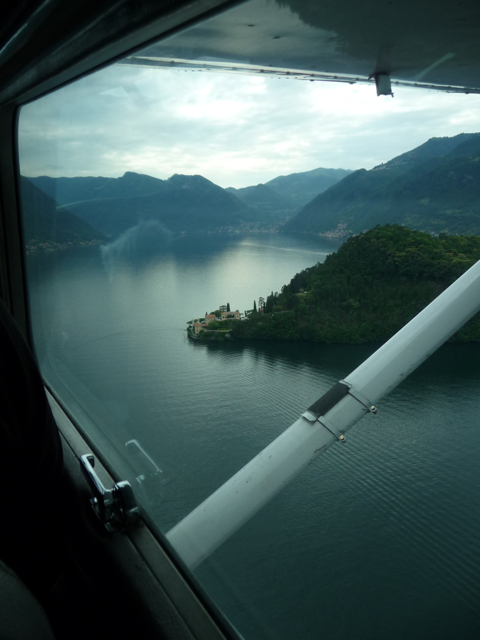 We left Cernobbio around 0900 and headed north along the road that boarders the western shore of the lake. Every turn in the road revealed another stunning view of the lake and the quaint villages that hug onto the side of the mountains. Impossible building challenges seem to have been overcome in this place. Ancient churches and townships have been built on outcrops of rock that appear impossible to get to. The roads either pass through the mountains and bypass historical villages or they traverse the ridges on a series of bridges and bypasses. We stopped off in a little village called Brienno and photographed a beautiful church before driving onto Argegno where we enjoyed a morning espresso, tea and a jam filled croissant at Cafe Colombo. The flaky croissant filled with jam was delightful. From Argegno we continued our drive north but it wasn’t long before we were stopping again to take more photos. Every corner is a postcard in waiting. Stunning villa after stunning villa line road and waterfront – opulence at its finest. We stopped in the village of Tremezzo for lunch. We settled on a roadside restaurant called Helvetia and we were not disappointed. The service was excellent and the food and wine equally impressive. We shared a delightful walnut bruschetta and a fresh tuna salad. We chose to wash it down with some local white wine and both agreed that we will be searching out Italian whites when we return to Hong Kong! 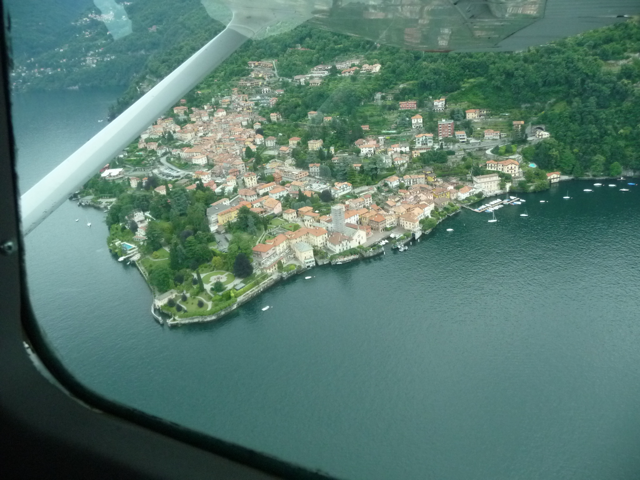 The car ferry to Bellagio was a short drive from Tremezzo and we arrived just in time to take the 3.15 ferry across the lake. 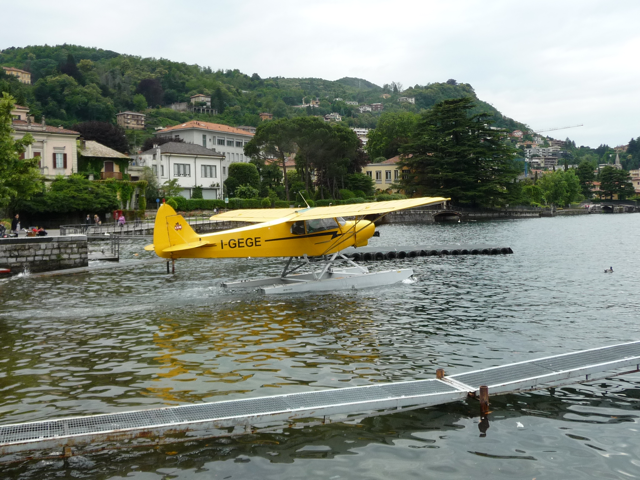 The short trip across the deep water of Lake Como gave us an opportunity to see the mountains and villages from water level – a great way to view the spectacular scenery. 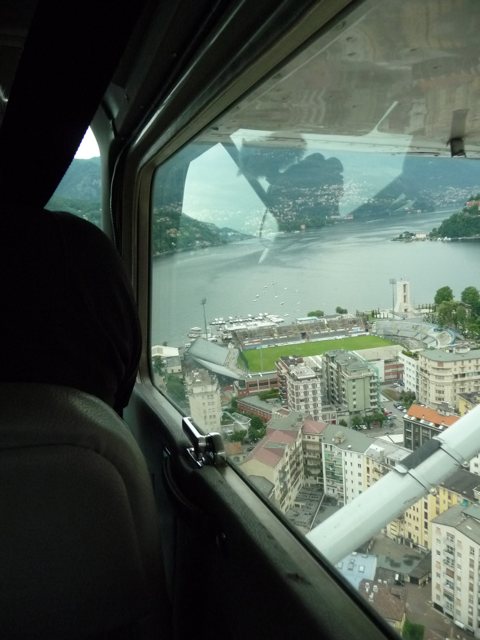 On arrival in Bellagio we found a place to park and returned to pavement in search of some more sights. 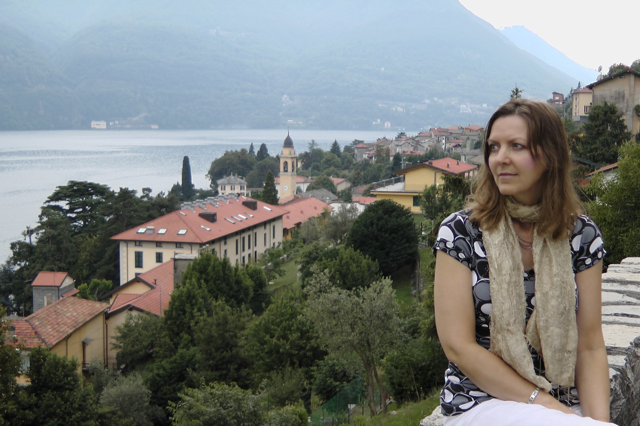 Bellagio is a beautiful village however we both found it to be a little too tourist focused for our liking. The back streets (away from the crowds) were more appealing than the main area and we enjoyed walking the cobble stoned streets and soaking up the quieter side of town. 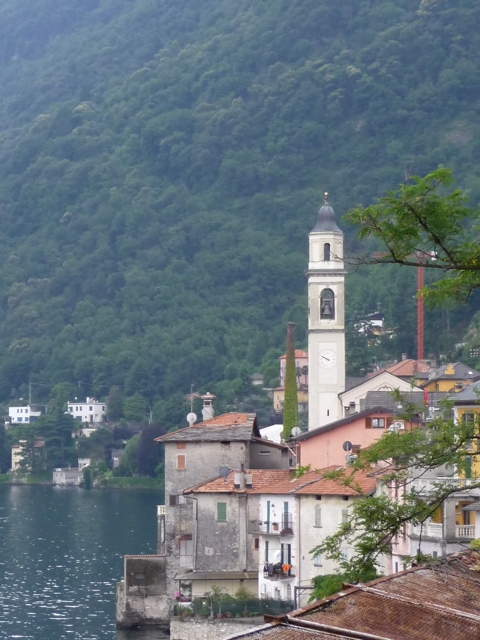 We left Bellagio around 4.45 and planned to stop somewhere on the drive back toward Como. However, the weather had other ideas and the rain started to fall quite heavily soon after we left Bellagio. The seemingly one lane roads, the impatient drivers and the rain made for an interesting trip back along the mountain side. I was glad that I had taken out full insurance! I am not sure how I got away without hitting another car or the side walls at times. Very sporting. With the inclement weather insisting on remaining with us for the afternoon, we decided to head back to the hotel and have a quiet early evening sitting in the lobby. Indeed, right now we are enjoying a real Italian coffee and the delightfully peaceful setting that is Hotel Miralago. We had a very relaxing pre bed night cap down in the lobby and met a great couple from Calgary – can’t get enough of these Canadians! We decided not to have dinner tonight as we are rather full from the delights of the day. Need to pace ourselves or we will return to Hong Kong looking like a couple of Sumo wrestlers. Time for an early night after our day of travels. 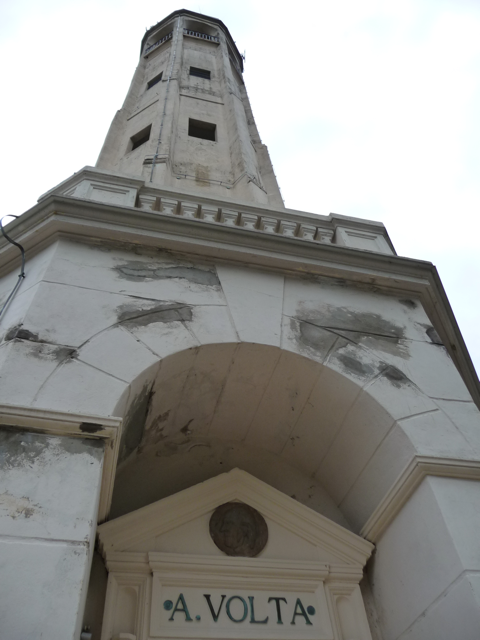 The chapel bells have just sounded 10 pm – a sign that our work for today is complete. Good night from Cernobbio, Italy.